Choose a card based on its popularity. Travel or rewards? The choice is yours. Fly high and enjoy complimentary travel from your regular Card usage. Exclusivity is reserved for you. Credit card services allow one to borrow money and in return for the services charge a fee. This fee is the interest rate that is applied if you don't pay the whole balance outstanding on your Card in the given month. The interest is always charged on the outstanding balance and not on the total amount. APR stands for Annual Percentage Rate. It is basically the procedure through which the annual interest rate is calculated for the amount of money you pay on money borrowed. It is a useful tool if you want to compare a variety of loans-including Credit Card payments and mortgages. A Fixed APR means that the Credit Card provider has to provide 45 days' notice before change of interest rate. The new interest rate will only apply for purchases after the new rate change is applied. A Variable APR has flexible interest rates, based on index interest rates. This is combined with the Credit Card issuers own rates and varies based on promotional offers. It also depends on benchmark index. Always check the APR to find out the interest rate. Cards with a lower APR tend to have less reward and loyalty programs but this can be a useful trade-off for some consumers. How can I calculate the interest on a Credit Card balance? Sometimes, monthly or daily interest rates are also used by companies to calculate the interest on outstanding balances. 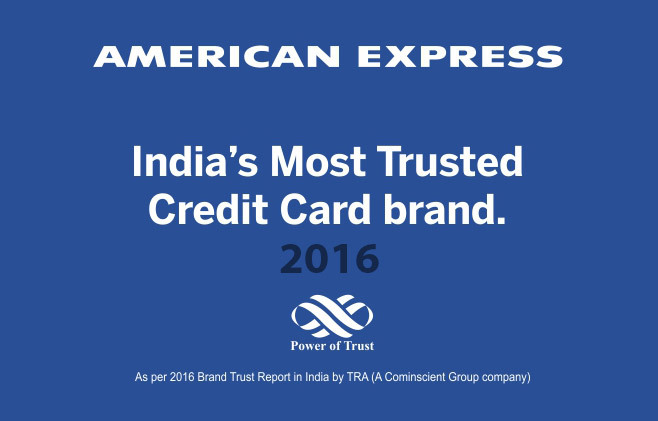 American Express Credit Cards have different interest charges and transaction fees. Your Credit Card arrangement specifies the charges that apply to your purchases, balance transfers and cash withdrawals. When you pay a part of your outstanding balance the transactions with lower interest rates are paid off first. If you fail to make a repayment or spend more than your agreed spending limit, you will be charged a penalty interest rate . Do Charge Cards have Interest Rates? Charge Cards do not have interest rates as they do not extend credit to you. The full balance on a Charge Card is taken out of your bank account at the end of each month. This means you have no outstanding balance at the beginning of the next month. How do I get the best Credit Card interest rate? Credit card interest rates vary from person to person. The additional benefits and rewards you get from using a Credit Card impacts which type of Credit Card is the best for you. If you use your Credit Card to pay for purchases and always make full monthly payments, you can focus on Membership Reward Points or travel loyalty programs. The PAYBACK and Jet Privilege Miles Credit Cards are likely to be perfect. If you are sometimes unable to make the full payment on your Credit Card or would like to have greater flexibility with payments, then look for the lowest APR from a Card. Choose a card based on your lifestyle habits and get the best of benefits. Charge Cards are perfect if you have cash available with which you can pay off the balance in time. The balance is paid directly from your bank account on a specific date each month-so you don't have to worry about interest Charges. Like Credit Cards, with charge cards too you can gain Membership Reward Points to spend on a variety of benefits. Our Platinum Card gives bonuses in a single Charge Card. Both Credit Cards and Charge Cards will help you build a Credit rating. Before you apply for a Card, look at the interest rates, rewards and bonuses to see what suits you the most. Can I apply for a Credit Card? You must not have filed for bankruptcy in the past 7 years. Your Credit score is the Credit report provided by CIBIL. Your history with managing credit, defaults or missed payments may influence your credit score. Your Credit score determines the interest rates you will be offered on applying for a Credit Card. For good credit history, you receive better interest rates and higher levels of Credit spending. You can find your Credit score by visiting the CIBIL website. How do I apply for my Credit Card online? You can apply for a Credit Card by visiting our Credit Card section here and finishing the online application form. It takes just ten minutes. You are asked to provide your address, income and bank details. You then receive confirmation post which you are required to send us documents to prove your legal status and identity. Application processing typically takes 2-3 weeks from submission. You will be notified directly upon approval or denial of your Credit Card application. To help the process please double check your entries and make sure that you have all the necessary documents ready . Do you want an instant call back?